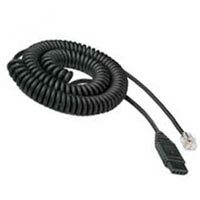 Use this cord when connecting a VXi V-Series Headset to a Cisco phone. Compatible only with the following Cisco model phones 7931, 7932, 7940, 7941, 7942, 7945, 7960, 7961, 7965, 7970, 7971, 7975, and 7985. Works with VXi quick-disconnect headsets!